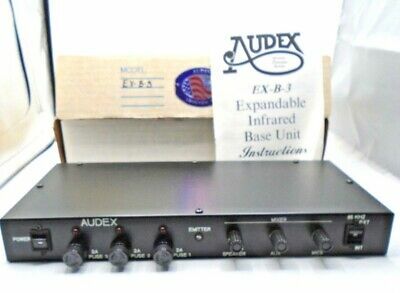 Seller: started_with_a_mouse (11,155) 100%, Location: Elgin, Illinois, Ships to: Worldwide, Item: 392256217870 Audex, Infra Red, Assistive Listening Device, Rep's Sample Kit. 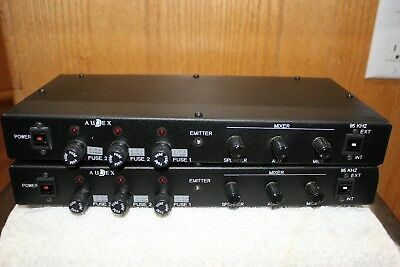 Item: Hearing Impaired Kit Brand: Audex Model: I was the sales rep for Audex in the early1990's. This was my sample kit. 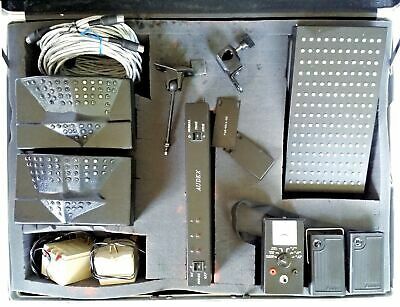 Included: (1) W Base 3, (2) RPT B-L Emitter w 54 LED's, (1) SA-PS3-C Emitter w 165 LED's, (2) IR Portable Receivers, (2) Power Supplies (1) RPA-IPM IR Meter, (2) 3 Pin Connecting Cables (1) Large Platt Carrying Case Age: 1990s Condition: This has never been sold. It worked perfectly when put into storage 20 years ago. It fires up, but has not been tested. Still looks brand new. We are selling as is. Please See Photos. Listing and template services provided by inkFrog Condition: Excellent Condition. See pictures and description. Popularity - 14 views, 0.3 views per day, 47 days on eBay. Good amount of views. 0 sold, 1 available. 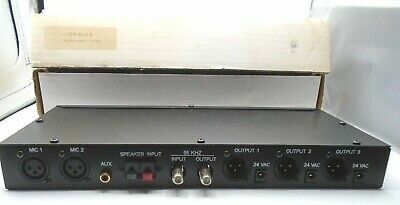 14 views, 0.3 views per day, 47 days on eBay. Good amount of views. 0 sold, 1 available. Seller - 11,155+ items sold. 0% negative feedback. Top-Rated Seller! Ships on time with tracking, 0 problems with past sales. 11,155+ items sold. 0% negative feedback. Top-Rated Seller! Ships on time with tracking, 0 problems with past sales.